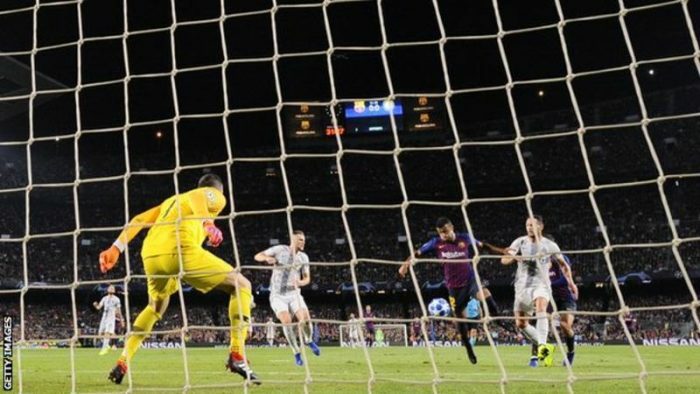 Barcelona maintained their 100% start in this season’s Champions League as they cruised to victory over Inter Milan at the Nou Camp. Rafinha opened the scoring for the hosts, who were without Lionel Messi after he fractured his arm on Saturday, before Jordi Alba netted the Spanish giants’ second late on. Despite threatening early on, Inter never really got going, and Barca will hope to put in a similarly stylish performance in Sunday’s El Clasico against Real Madrid. The Italian visitors had goalkeeper Samir Handanovic to thank throughout as the Slovenian made nine saves.